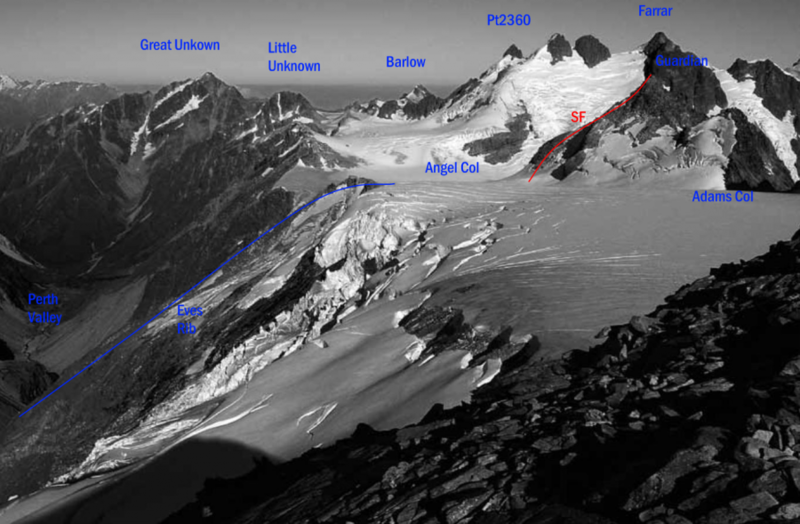 Guardian Peak has been climbed from about every ridge, angle and slope over the past 70 years. Originally climbed utilising a snowslope to the NE. Directly up snowslopes from the Garden of Eden. Schrunds can be problematic at times.